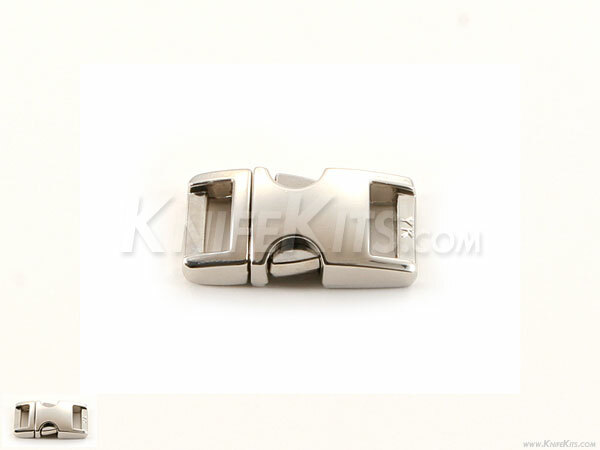 These are high-quality metal alloy 2-piece Pinch-n-Pull paracord survival bracelet/strap/belt latches. They are 1-1/4" x 3/8" in size and are perfect for paracord survival bracelets and other paracord accessory designs. These can be used for making knife and gun pouches, item slings and a multitude of usable items. This design features a ball-detent design that increases the security of the closure.